A little late in getting this posted, but tonight (Thursday, Aug. 20) brings a screening of the epic silent version of 'Ben Hur' (1925) at the Leavitt Theatre in Ogunquit, Maine. Showtime is 8 p.m. and tickets are $10 per person. 'Ben Hur' is a great film for music, highlighted by the spectacular chariot race and an equally impressive naval battle. I have some good material for scoring this one, and I'm looking forward to tonight's screening. Truth be told, I'm still recovering from last week's four-shows-in-four-days marathon, which wiped me out. More on those in a post-to-come, including one show in an old barn where the screen was an actual bedsheet and some audience members sat in a vintage sleigh! But I'll be back at full strength tonight. So here's the text of the 'Ben Hur' press release with more info on the show. Hope to see you there, heathens! 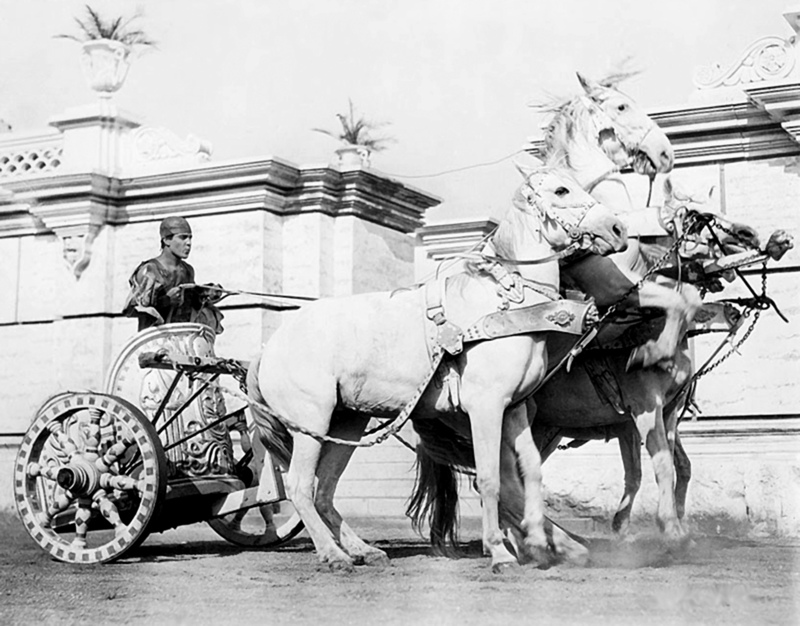 The famous chariot race sequence in 'Ben Hur' contains some of the greatest editing of the silent era. OGUNQUIT, Maine—One of early Hollywood's greatest epics returns to the big screen with a showing of 'Ben Hur, A Tale of The Christ' (1925) on Thursday, Aug. 20 at the historic Leavitt Fine Arts Theatre in downtown Ogunquit, Maine. The screening, with live music by silent film accompanist Jeff Rapsis, starts at 8 p.m. Admission is $10 per person. 'Ben Hur,' starring Ramon Novarro and Francis X. Bushman, was among the first motion pictures to tell a Biblical-era story on an enormous scale. The film, which helped establish MGM as a leading Hollywood studio, employed a cast of thousands and boasted action sequences including a large-scale sea battle. The film is highlighted by a spell-binding chariot race that still leaves audiences breathless. Set in the Holy Land at the time of Christ's birth, 'Ben Hur' tells the story of a Jewish family in Jerusalem whose fortune is confiscated by the Romans and its members jailed. 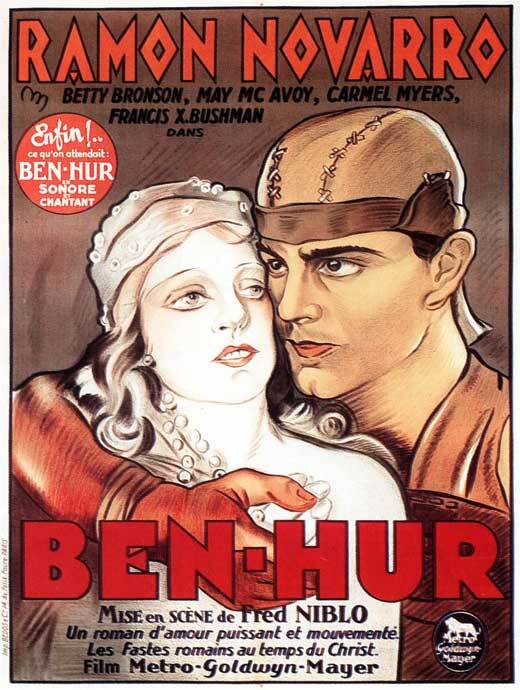 The enslaved family heir, Judah Ben Hur (played by Novarro, a leading silent-era heartthrob) is inspired by encounters with Christ to pursue justice, which leads him to a series of epic adventures in his quest to find his mother and sister and restore his family fortune. The screening is the latest in the Leavitt's summer series of silent film screenings. The series aims to showcase the best of early Hollywood the way it was intended to be experienced: on the big screen, with live music, and in a theater with an audience. "Put together those elements, and it's amazing how much power these films still have. You realize why these films caused people to first fall in love with the movies, said accompanist Jeff Rapsis, who will improvise a full score for the 2½-hour epic. 'Ben Hur,' directed by Fred Niblo, was among the most expensive films of the silent era, taking two years to make and costing between $4 million and $6 million. When released in 1925, it became a huge hit for the newly formed Metro-Goldwyn-Mayer studio. The chariot race scene in 'Ben Hur,' with Novarro and other cast members driving teams of horses at high speed on a mammoth dirt racetrack in a gigantic replica of a Roman stadium, was among the most complicated and dangerous sequences filmed in the silent era. It remains noted for its tight editing, dramatic sweep, and sheer cinematic excitement. Besides Novarro in the title role, the film stars Francis X. Bushman as Messala, the Roman soldier who imprisons the Hur family; Betty Bronson as Mary, mother of Jesus; May McAvoy as Ben Hur's sister Esther; and Claire McDowell as Ben Hur's mother. 'Ben Hur' was based on the best-selling 1880 novel by General Lew Wallace, which interwove the story of Christ's life with the Ben Hur clan, a fictional Jewish merchant family. Celebrity "extras" in the chariot race scene included stars such as Douglas Fairbanks, Harold Lloyd, Lionel Barrymore, John Gilbert, Joan Crawford, Lillian Gish, Mary Pickford, and a very young Clark Gable. The film was remade by MGM in the 1950s in a color and wide-screen version starring Charleston Heston that garnered 11 Academy Awards. Some critics believe the original 1925 version offers superior drama and story-telling. MGM executives at the time, aware of the quality of the original version, attempted to destroy all prints of the 1925 'Ben Hur,' sending the FBI out to confiscate collector copies in the 1950s. However, the studio did preserve the negative of the 1925 version, so the film remains available today. The silent film series honors the theater's long service as a moviehouse that has entertained generations of area residents and visitors, in good times and in bad. For each film, Rapsis improvises a music score using original themes created beforehand. None of the the music is written down; instead, the score evolves in real time based on audience reaction and the overall mood as the movie is screened. • Thursday, Sept. 17, 2015, 8 p.m.: 'Silent Comedy with Harry Langdon' Silent comedy featuring the unique style of Harry Langdon, whose innocent baby-faced character rocketed to fame late in the silent era on the strength of films directed by a very young Frank Capra. Rediscover Harry's quiet genius the way it was intended to be seen: on the big screen and with a live audience. • Saturday, Oct 31, 2015, 8 p.m.: 'The Lodger' (1927). A serial killer is on the loose in fog-bound London. Will the murderer be caught before yet another victim is claimed? Just in time for Halloween, suspenseful British thriller directed by a very young Alfred Hitchcock. The program is subtitled 'Chiller Theater' due to the theater's lack of central heating. 'Ben Hur' (1925) will be screened with live music on Thurday, Aug. 20 at 8 p.m. at the Leavitt Theater, 259 Main St., Route 1, Ogunquit, Maine. Admission $10. For more information, call (207) 646-3123 or visit www.leavittheatre.com. 'Grandma's Boy' 8/13 in Plymouth, N.H.
'Grandma's Boy' (1922) will be screened with live music on Thursday, Aug. 13 at the Flying Monkey Moviehouse, Plymouth, N.H. The left pinkie is pretty much healed, and just in time. But first up, a quick report on yesterday's unexpected double feature at the Wilton (N.H.) Town Hall Theatre. I say "unexpected" because I originally had just 'Red Signals' (1927) programmed as part of our summer-long series of silent train melodramas. But last week, I came across a DVD-R copy of the Eastman restoration of 'Roaring Rails' (1924), which I'd never seen. I popped it in, and was treated to an immensely entertaining (and great-looking) film starring Harry Carey and a child actor I'd never heard of before: Frankie Darro. 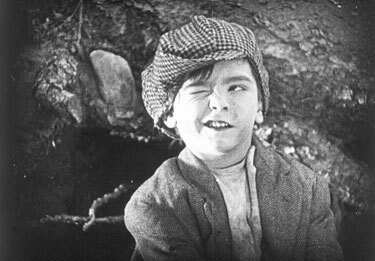 Frankie Darro gives a knowing wink in 'Roaring Rails' (1924). In 'Roaring Rails,' Darro, as "Little Bill," suffers one calamity after another, to the point where you can't help but wonder if one of the scriptwriters was Job himself. Let's see: Little Bill starts the film as a French lad who loses his mother in World War I. Then, brought the U.S as an orphan, he causes a huge train crash that costs his adopted railroad engineer father his job. As 'Roaring Rails' progresses, Little Bill winds up on a bridge that gets blown up, costing him is eyesight. He's then taken custody by a cruel caretaker who at one point flings the blind youngster into the side of a metal bed. All not so great for Little Bill, but enough to prompt me to add 'Roaring Rails' to yesterday's program, doubling it up with 'Red Signals' (1927), another railroad drama. Who was this kid? 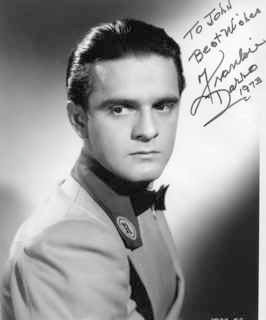 Turns out Frankie Darro (born Frank Johnson in 1917 to parents who performed as "The Flying Johnsons" in a traveling circus) had a Hollywood career that lasted longer than most. As a child star, he grew up in the movies, although not that much: as an adult, he was 5-foot-3, so wound up playing lots of jockeys, even showing up as one in the Marx Brothers classic 'A Day At the Races' (1937). He also got into voice work—perhaps most notably as the character "Lampwick" in Disney's 'Pinocchio' (1940). Darro then served in the U.S. Navy during World War II, and unfortunately caught malaria. The affliction stayed with him for the rest of his life, causing Darro to turn to alcohol to the point where it apparently impaired his health, according to the limited biographical info available. Still, he kept performing; later big screen roles included uncredited work as Robby the Robot (unseen, in costume) in 'Forbidden Planet' (1956) and as a 'slave' extra in the big remake of 'Ten Commandments' (also 1956). I often wonder about the psychological issues that go with being a star in childhood, but then a minor character actor in later life. It can't be easy. Darro, alas, died in 1976—of a heart attack at age 59, still fairly young. But I hope he'd be pleased to know his performance as 'Little Bill' way back during the silent era still keeps an audience riveted to the screen. That was the case yesterday in Wilton, where 'Roaring Rails' turned out to be the clear program favorite. 'Red Signals' (1927) was no slouch, but seemed a little less focused—and didn't benefit from having any child star beset by endless mishaps. Audience response was strong for the whole program, as it's been throughout this series of obscure railroad melodramas. So I'm further convinced that there are worthy discoveries to be made among the thousands of silent feature films that have survived. Few ever get a chance to be revived with live music and in front of an audience. But it's the only way to know for sure, so I intend to keep doing it. Coming up in my four-day mini-marathon are programs featuring more well-known performers—Harold Lloyd and Buster Keaton among them. 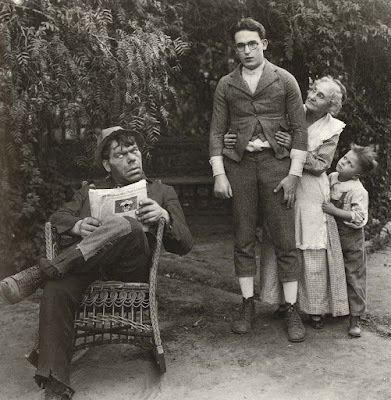 First up is Harold Lloyd in 'Grandma's Boy' (1922), his own breakthrough film, which we're screening on Thursday, Aug. 13 at 6:30 p.m. at the Flying Monkey Moviehouse and Performance Center in Plymouth, N.H. Admission is $10. More info about the screening is in the press release below. There's nothing like a Harold Lloyd film in a theater with an audience, so hope to see you there! Harold Lloyd works up the courage to face a tramp in 'Grandma's Boy' (1922). PLYMOUTH, N.H.—The silent film era returns to the big screen at the Flying Monkey Moviehouse and Performance Center with the showing of 'Grandma's Boy' (1922), a classic silent comedy accompanied by live music. Showtime is Thursday, Aug. 13, at 6:30 p.m. at the Flying Monkey, 39 Main St., Plymouth. All are welcome to this family-friendly event; admission is $10 per person general admission. The screening, the latest in the Flying Monkey's silent film series, will feature live accompaniment by Jeff Rapsis, a New Hampshire-based composer who specializes in creating scores for silent films. 'Grandma's Boy,' stars Harold Lloyd, a popular 1920s film star. 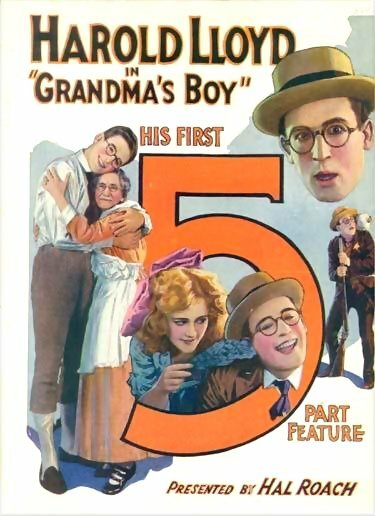 'Grandma's Boy' tells the story a cowardly young man (Harold Lloyd) who seeks the courage to battle a menacing tramp who terrorizes his small hometown. 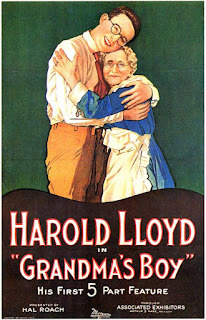 Audiences loved 'Grandma's Boy' when it was first released, and the picture helped establish Lloyd as a major star for the rest of the silent film era. In revival, 'Grandma's Boy' continues to delight movie-goers and serves as a great introduction to the magic of silent film. It also provides a marvelous window into small town American life as it was lived a century ago. 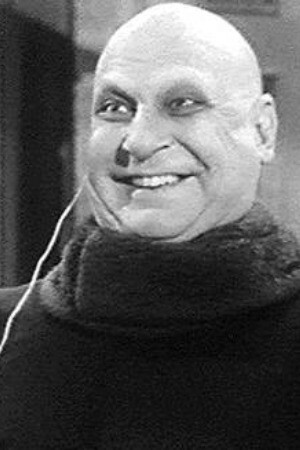 Despite his mega-star status in the 1920s, Lloyd is largely unknown to today's audiences, mostly because he retained control of his films in later life and refused to let them be shown on television. With the release of Lloyd's films on DVD, audiences are rediscovering his timeless genius. The reissue sparked a demand for screenings in theaters, where the Lloyd films continue to cast their spell on audiences. Shown in a theater with live music, Lloyd's features maintain their power to delight movie-goers. "Times have changed, but people haven't," Rapsis said. "The Lloyd films were designed to be shown in a theater with an audience, and to appeal to a worldwide audience, and their universal themes haven't lost any relevance," said Rapsis, who has performed music for silent films in venues ranging the Donnell Library in New York City to the Kansas Silent Film Festival. Using original themes created beforehand, Rapsis improvises the music live as the films are shown. "When the score gets made up on the spot, it creates a special energy that's an important part of the silent film experience," said Rapsis, who uses a digital synthesizer to recreate the texture of a full orchestra for the accompanimemt. ‘Grandma's Boy’ (1922), a classic silent comedy starring Harold Lloyd, will be shown on Thursday, Aug. 13 at 6:30 p.m. at the Flying Monkey Moviehouse and Performance Center, 39 Main St., Plymouth. Admission $10 per person. For more info, call (603) 536-2551 or visit www.flyingmonkeynh.com. 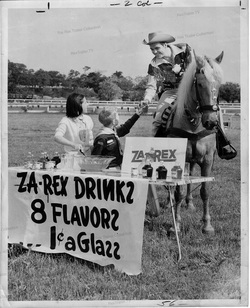 Two icons of a New England childhood: Cowboy star Rex Trailer reaches for a refreshing glass of Za-Rex. So the other day I was yakking with Peter Clayton, long-time owner/operator of the Leavitt Theatre in Ogunquit, Maine. And I noticed his white T-shirt was emblazoned with the logo of 'Za-Rex,' a brand of fruit-flavored syrups that were popular in New England when I was a child. "Peter, where'd you get that Za-Rex shirt?" I asked. In answer, he turned around to show me the back of the shirt, which carried a stylized 1950s picture of a family enjoying Za-Rex-flavored drinks: a dad, a mom, two daughters, and a cute little boy. "See the boy?" he asked. "That's me!" This made me giddy. To any child who grew up within reach of Boston television in the 1960s and 1970s, Za-Rex was a hallowed name. Though the brand had long since disappeared (people turned away from mixing their own beverages, either with Za-Rex or Kool-Aid powder), Za-Rex was very much alive in the large part of my brain still ruled by the marketing aimed at me as a kid. 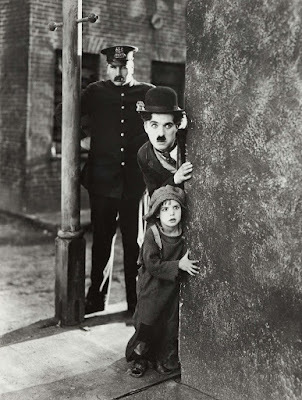 So in introducing Chaplin's 'The Kid' (1921) to our audience this past Thursday night, I also mentioned how delighted The Kid in me was to have just learned that the theater's owner was heir to the now-vanished Za-Rex empire. It being New England, this earned a nice round of applause. 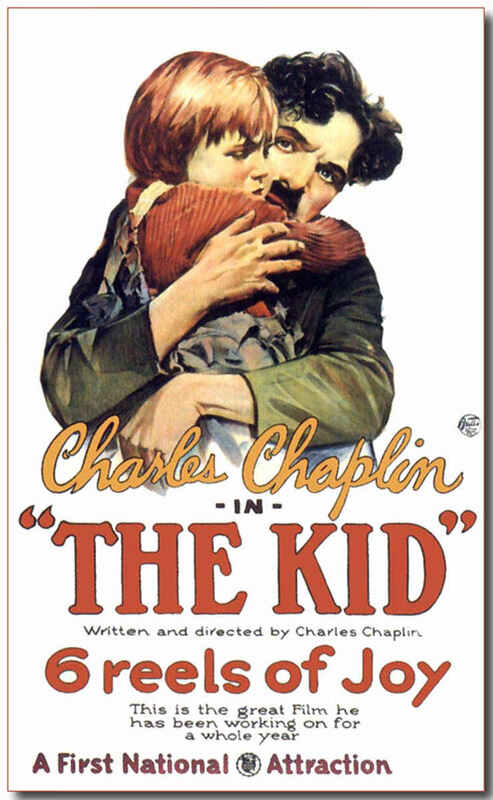 As a warm-up to 'The Kid,' the program included Chaplin's 'The Adventurer' (1917) and Arbuckle's 'Coney Island' (1917), mostly for its surfside atmosphere, so similar to Ogunquit. Despite a nagging injury to my left-hand pinkie, the music came out well. In terms of textures, I progressed from piano only for 'Adventurer' to organ for 'Coney Island' and then full orchestra for 'The Kid.' I think it helps give each film a separate character, and using orchestra for the feature helps communicates its relative importance. But no time to reflect as another show is coming fast down the track on Sunday, Aug. 9. It's the next in a series of railroad melodramas we're doing this summer at the Wilton (N.H.) Town Hall Theatre: 'Red Signals' (1927), an action-packed crime thriller starring Wallace MacDonald, Earle Williams, Eva Novak, and a cast of dozens, all of whom you've probably never heard of. The railroad flick's we've screened so far this summer have all produced strong responses from audiences. They may be totally obscure, but they still do their job. We'll finish the series later this month with one train-related film that's definitely not obscure: John Ford's 'The Iron Horse' (1924), the epic tale of the construction of the transcontinental railroad. But first, climb aboard 'Red Signals' this Sunday at 4:30 p.m. Admission is free, with a suggested donation of $5 per person to defray expenses. WILTON, N.H.—This summer's series of silent railroad films at the Wilton Town Hall Theatre continues this weekend with a matinee screening of 'Red Signals' (1927). The action-packed film about sabotage on a western railroad will be shown with live music for one screening only, on Sunday, Aug. 9 at 4:30 p.m. Admission is free, with a suggested donation of $5 per person to help defray the cost of screening silent film on the big screen with live music. 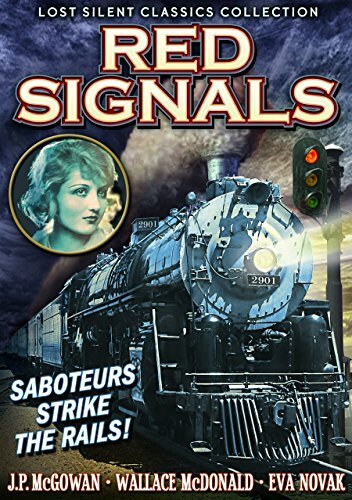 The plot of 'Red Signals': The Western Limited Railroad has suffered numerous wrecks recently and when headquarters learns that the wrecks have also been looted, they send in "Sure Fire" Frank Bennet to take over as superintendent and put things right. After a chance meeting, Frank hires his wandering brother Lee to work for the railroad. Lee may be Frank's best chance against crooked railroad man "Take-A-Chance" McGuire, who is in cahoots with the former superintendent and has plans to get rid of Frank so they can continue robbing the railroad. The train-themed movies in this summer's series are all fast-paced silent-era melodramas set in the world of big-time railroading. The Summer Train Film Series continues with a screening of 'Red Signals' (1927) on Sunday, Aug. 9 at 4:30 p.m. at the Wilton Town Hall Theatre, 60 Main St., Wilton, N.H. Admission to the screenings is free; a donation of $5 per person is suggested. A story with a smile, and perhaps a tear—especially if I reinjure my left pinkie. A recent trip to Cambodia and Vietnam meant several weeks away from the keyboard, and the layoff took its toll. The day after I returned, I was playing a program at the Leavitt Theatre in Ogunquit, Maine, and somehow managed to tear off the skin from the tip of the pinkie on my left hand. Youch! I've never had this happen before, so I have to believe it was the result of not playing for awhile, and then coming back to it too suddenly. Whatever the cause, it sure stung! But I made it through the show. And I thought it had healed in time for a Harold Lloyd double bill I accompanied this past Sunday at the Somerville Theatre, but no—it broke open, forcing me to rethink or change all my usual instincts for playing. Again, I got through the show, but it was somewhat less than fun! So for a little while, any upcoming shows will feature more treble than bass as I take time for the pinkie to truly heal up for good. A screening of 'Open All Night' (1924) tomorrow night at the Manchester (N.H.) City Library will be my first experiment with one less finger than usual, so we'll see. 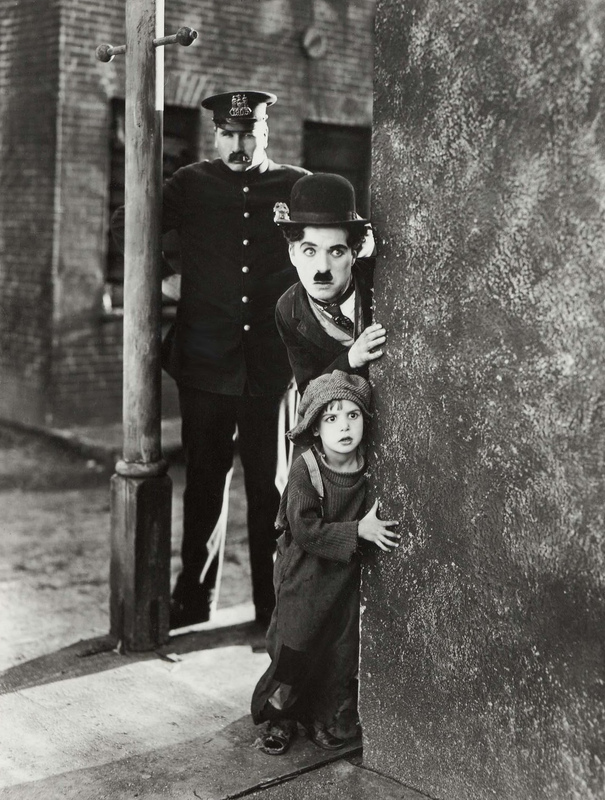 And then it's back to the Leavitt on Thursday, Aug. 6 for a screening of Chaplin's breakthrough feature, 'The Kid' (1921) as well as a few of Chaplin's earlier short comedies. Say what you want about other silent film comedians—Chaplin's iconic tramp figure has endured as a symbol of the whole art form, and he still draws bigger crowds than any other performer from the era. And for those of us deep into exploring the odd neglected corners of silent film (where occasionally a gem is discovered, but usually not), it's worth remembering that Chaplin was the "gateway drug" for many silent film people. His films are often the reason people first get interested in the art form. So I'm looking forward to Thursday night, and possibly having some folks get intrigued enough by Chaplin to want to learn more. That's how it starts! Newbie or oldbie (Is 'oldbie even a word? ), I hope to see you on Thursday night out in Ogunquit. More info is in the press release below. A still that still works: Chaplin and Coogan watch out for the law, which is watching them. 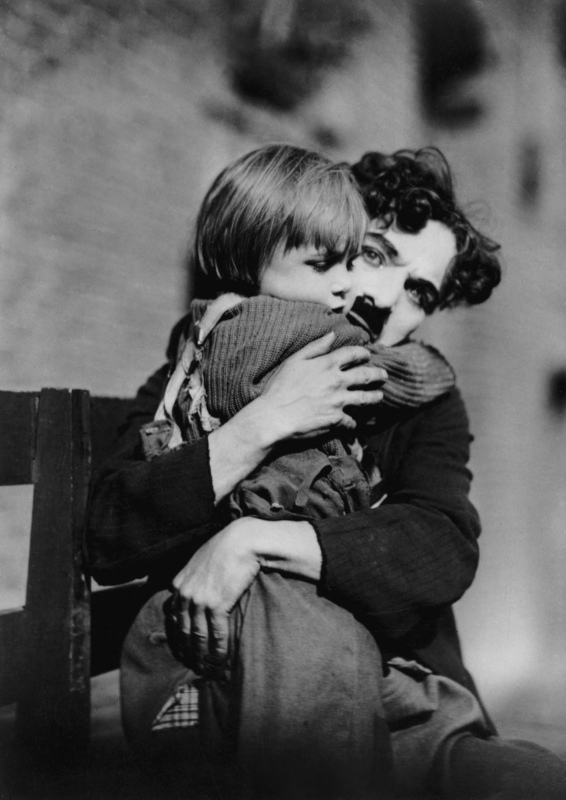 QGUNQUIT, Maine—Silent film with live music returns to the Leavitt Theatre with a screening of Charlie Chaplin's classic comedy/drama 'The Kid' (1921) on Thursday, Aug. 6 at 8 p.m. The Chaplin program continues another season of silent films presented with live music at the Leavitt. The series provides local audiences the opportunity to experience silent film as it was intended to be shown: on the big screen, in restored prints, with live music, and with an audience. Another iconic image from 'The Kid' (1921). 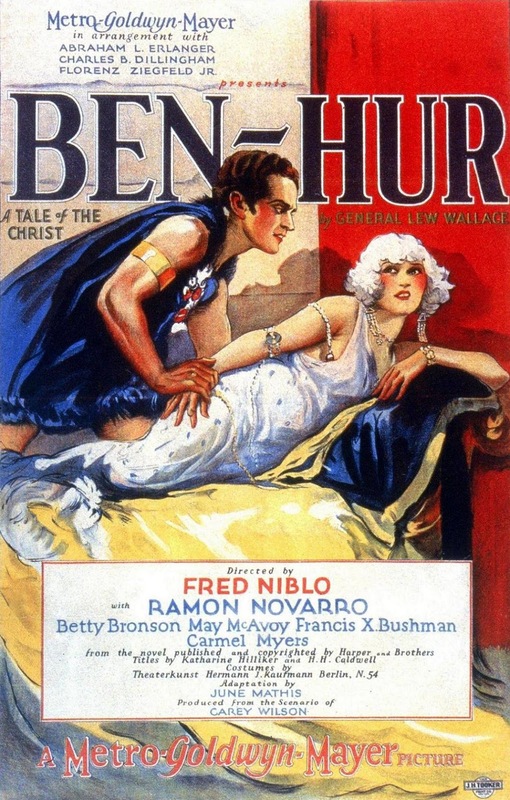 • Thursday, Aug. 20, 2015, 8 p.m.: 'Ben Hur' (1925) starring Ramon Navarro. In the Holy Land, a Jewish prince is enslaved by the occupying Romans; inspired by encounters with Jesus, he lives to seek justice. One of the great religious epics of Hollywood's silent film era, including a legendary chariot race that's lost none of its power to thrill. 'The Kid' (1921) starring Charlie Chaplin and Douglas Fairbanks, will be screened with live music on Thurday, Aug. 6 at 8 p.m. at the Leavitt Theater, 259 Main St., Route 1, Ogunquit, Maine. Admission $10. For more information, call (207) 646-3123 or visit http://www.leavittheatre.com. For more info on the music, visit www.jeffrapsis.com.